Create an Easter themed custom stamp as a craft stamp or teacher stamp with a unique personalised message to really impress. Choice of 12 ink colours! 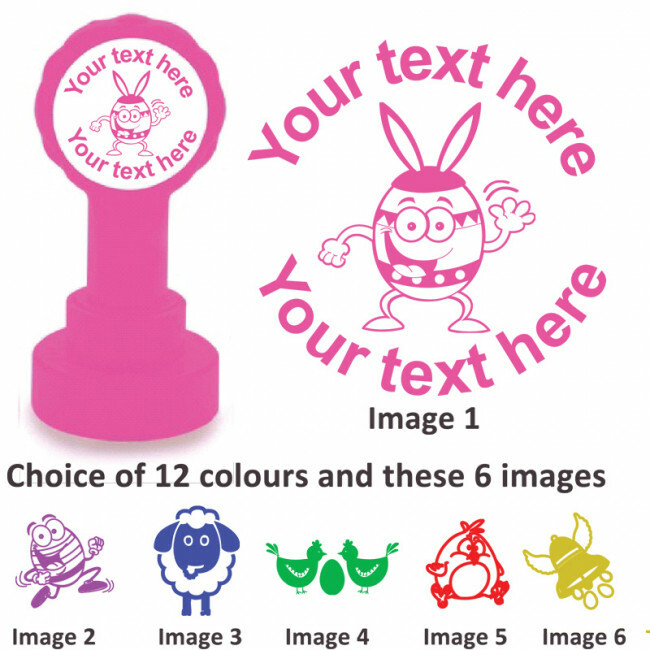 Exclusive to Classroom Capers, we offer the widest range of colours. Some inks involve a longer manufacturing process so are at a small supplement. Buy more and save! See quantity prices below - prices apply to orders for the same design. Larger quantity discounts for same or mix of designs available on request. Enter your text - text top and/or bottom is optional. Read our article on how to maximise the life of your stamp - Stamp usage and storage guidelines - click here. Xclamations Teacher Stamp - the best selling education stamp.